Attorney Ululy Martinez graduated from CCSU in 1996 with a degree in History. He later obtained his Juris Doctorate from City University of New York School of Law and has served multiple constituencies as an attorney. Following six years of service in the Army National Guard, Mr. Martinez launched his legal career in 2000 as general counsel to the Bronx Defenders, a public defender nonprofit organization that serves low-income clients. He went on to work as general counsel and chief of staff for members of the New York City Council. Spurred by his interest in campaigns and elections, Mr. Martinez signed on as chief of staff for the Bronx Democratic County Committee. 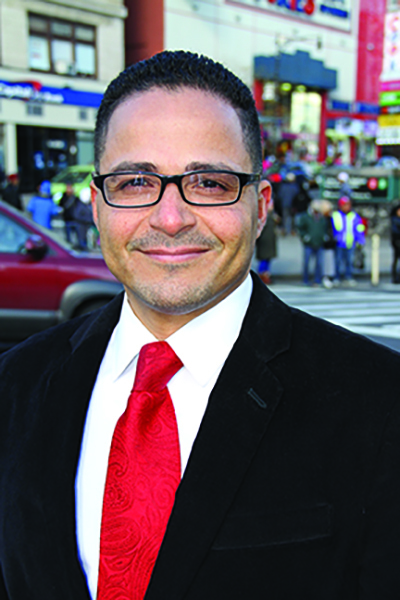 Under his leadership, Mr. Martinez crafted the borough’s first Community Benefits Agreement, which called for the construction of the Bronx Terminal Market, a multimillion-dollar development. The project generated jobs and funding opportunities for local nonprofit organizations. Mr. Martinez continued his government service when he took a position as deputy chief of staff to former Speaker of the New York City Council Christine C. Quinn. In 2007, Mr. Martinez joined the private sector when he was hired as director of Government and Business Operations at Cablevision (now Altice USA), a post he held until 2018 when he went into private practice. He has since parlayed his experience in politics as a member of the New York City Climate Adaptation Taskforce, an initiative launched by former Mayor Michael Bloomberg. Mr. Martinez also lends his expertise to the Board of Directors of the National Puerto Rican Day Parade and serves on the board of the Bronx Community College scholarship foundation. He lives in Bronx, New York.